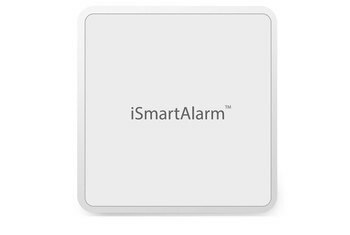 It works with Z-Wave and ZigBee, two of the most popular smart home standards. 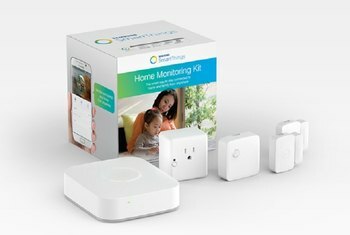 The monitoring kit bundle comes at a good price. Although setup is simple, there is a learning curve with the app. The hub needs a wired Ethernet connection. You can sometimes have trouble connecting it to other smart devices. The Samsung SmartThings Home Monitoring Kit includes the well-regarded SmartThings Hub, which connects to your router via Ethernet cable and acts as the brains of this smart home system. 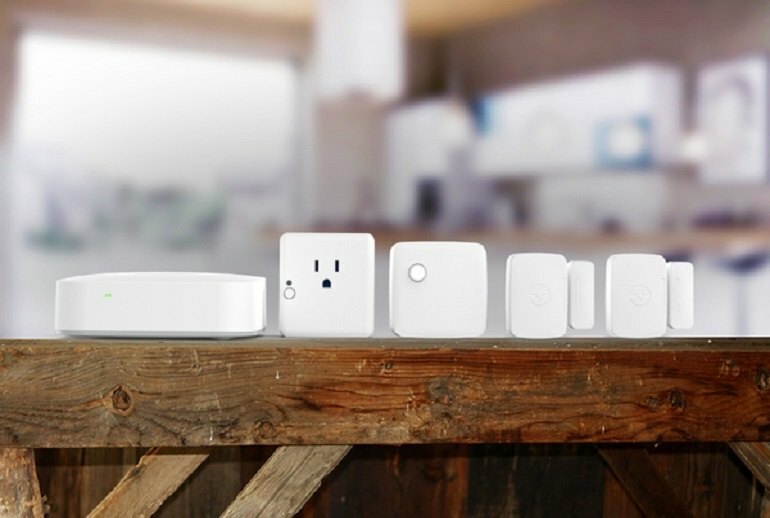 Included with the Hub is a SmartThings outlet, two multipurpose sensors and a motion sensor. 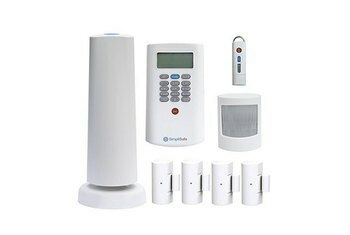 With this kit, you can monitor your home, including whether windows and doors are open and if someone is moving inside your house. The included outlet gives you power to control lights or other electronics. 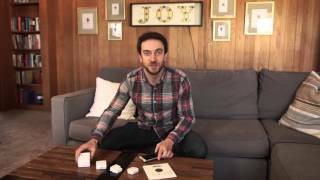 The kit is expandable so you add other sensors to grow your smart ecosystem. Samsung’s SmartThings Home Monitoring Kit is much more than a security system. It’s a full-featured home automation and monitoring system, and works with enough products from different vendors that it can truly be your sole home automation hub. As complete as that ecosystem sounds, holes remain. Installation very easy and intuitive. Imagine my surprise and delight to find I could “program” the lights to turn on in my place before I even unlocked the door. Separately, all of these items would run you a pretty penny, but when bought all together, the price is just $249. For those keeping track, that’s the same price of a Nest 3rd Gen, which makes this a pretty good deal. 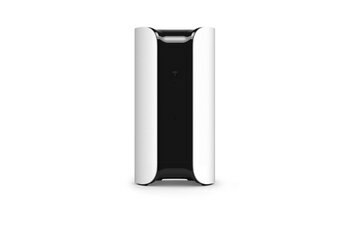 This is one home monitoring solution that we believe will help advance smart home technology. This is just the beginning of your "smarter" life. This second generation product demonstrates the company’s determination to lead in this next technological stage. 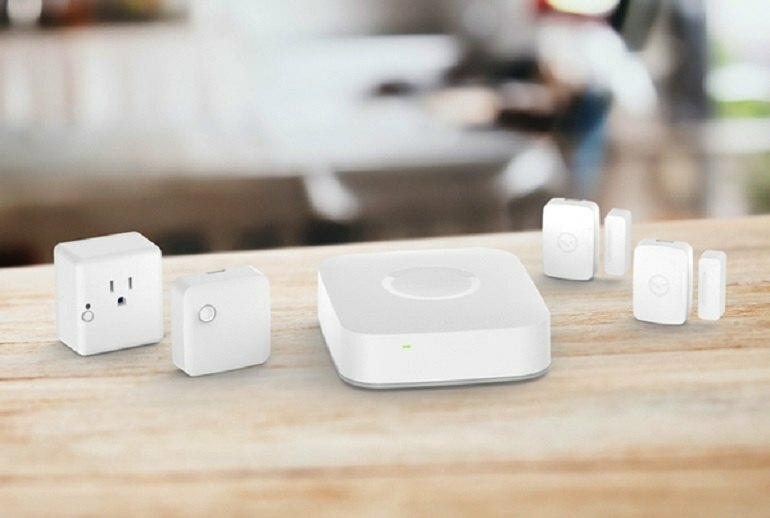 Individually, SmartThings sensors look expensive, but as a starter kit that doesn't require any rewiring or monthly fees, there's definitely an appeal to a one-box system. Setup proved straightforward. Hub 2.0 takes four AA batteries now, included in the box, which are good for up to 10 hours of standalone use in the case of a power cut. Personally, I'd have preferred to see at least rechargeables used instead, but it's certainly better than the existing hub which, when I've experienced power cuts, has left my system completely non-functional. 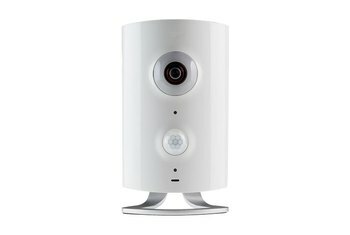 The hub connects directly to your home network, and the sensors connect to the hub over a ZigBee network. 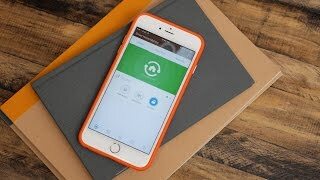 From there, you run and monitor the whole shebang from the SmartThings mobile app, even if you’re not at home. 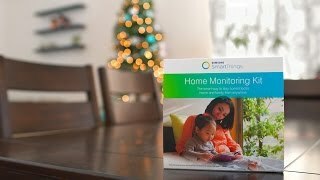 Samsung SmartThings - The Best Home Monitoring Kit?